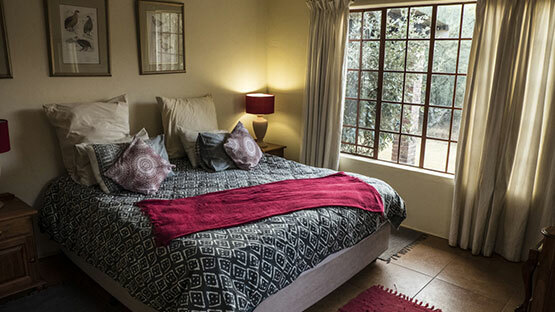 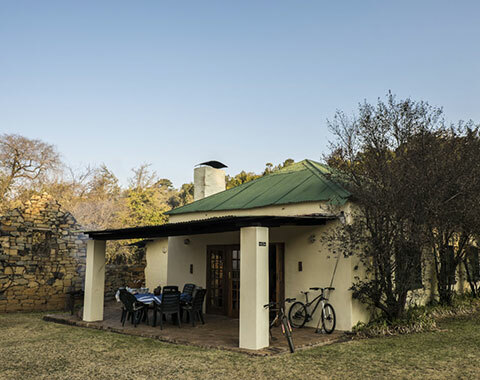 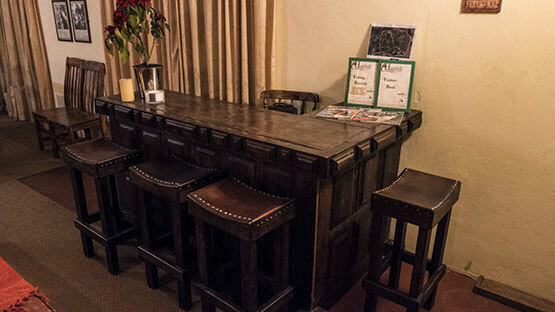 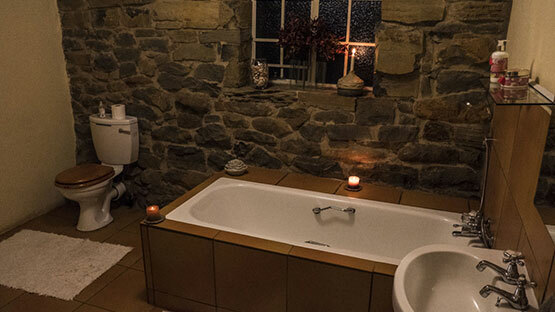 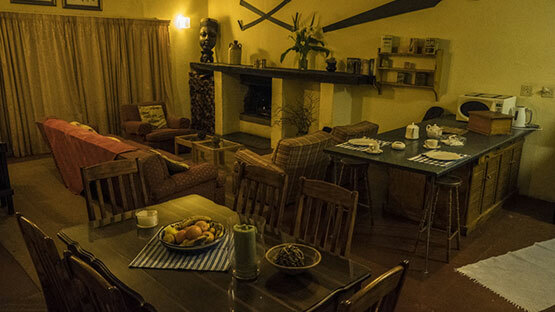 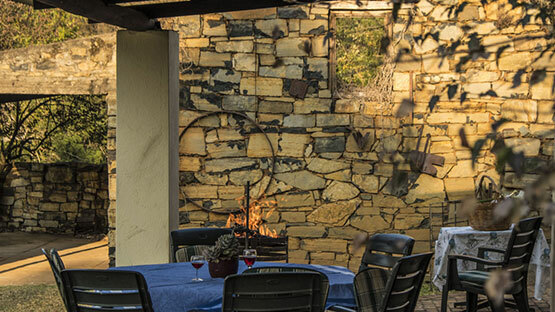 Our 3 cottages are spacious, well-furnished and all have stone fireplaces with magnificent views over the dams and valley. 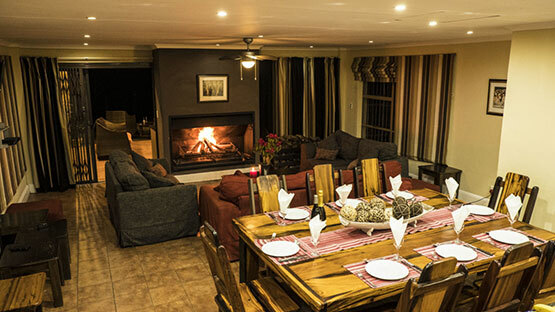 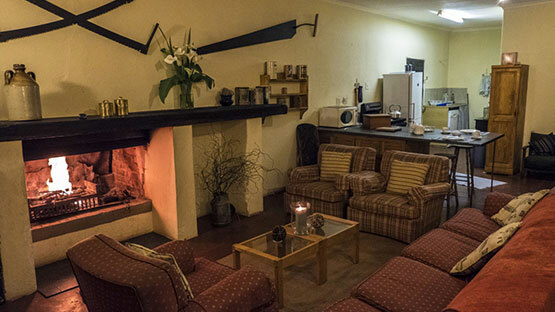 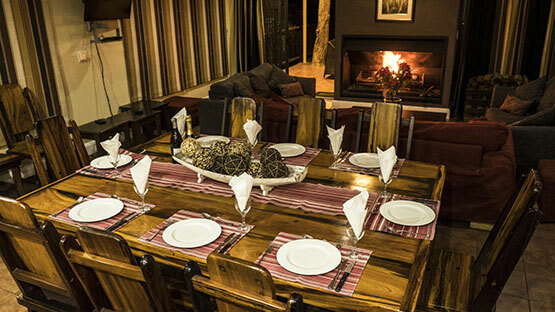 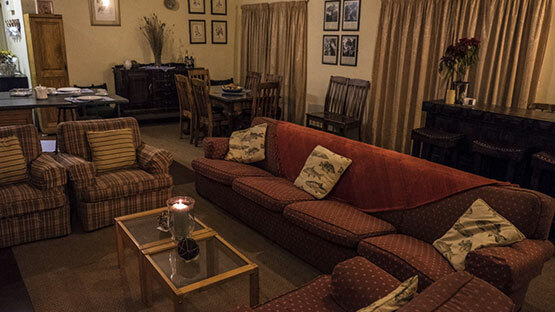 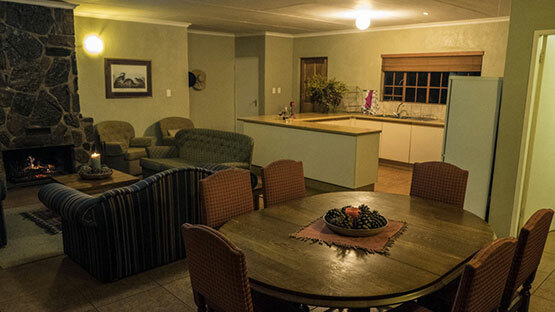 A spacious, well-furnished four-bedroom lodge. 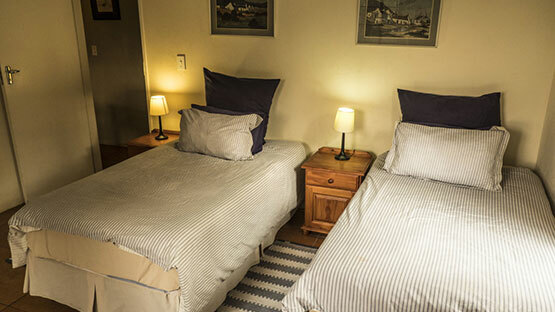 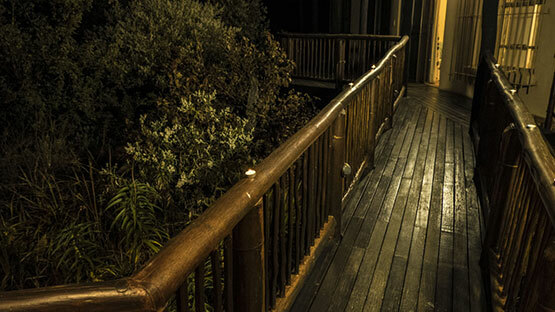 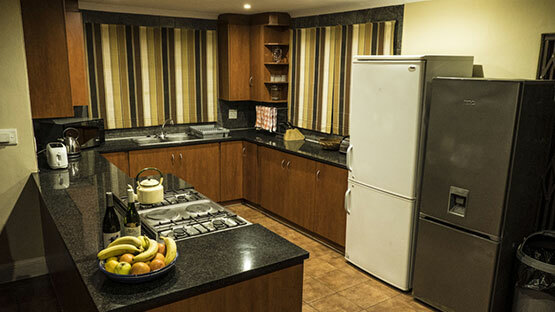 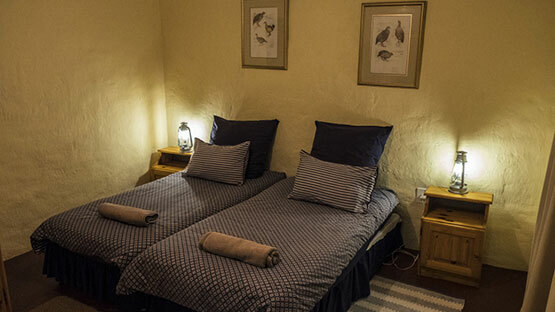 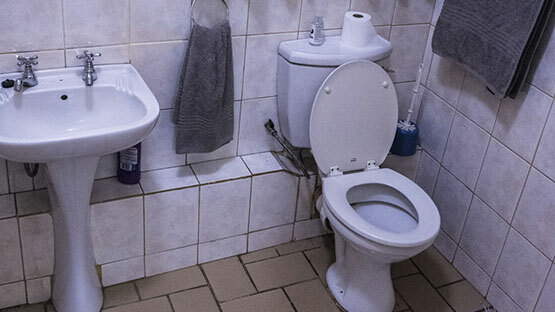 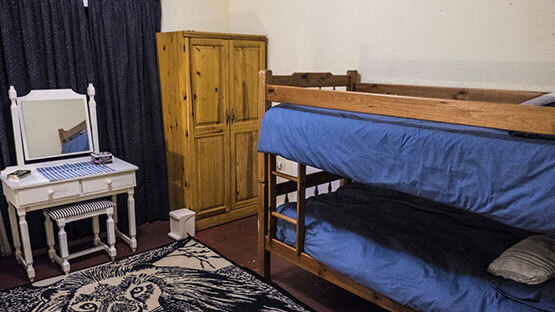 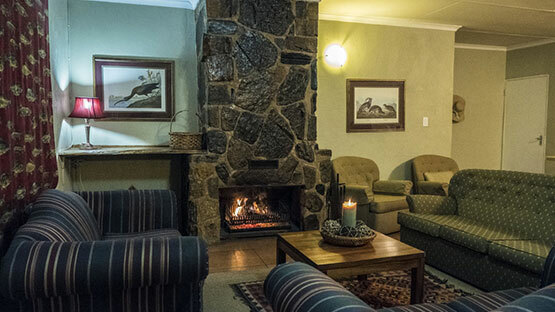 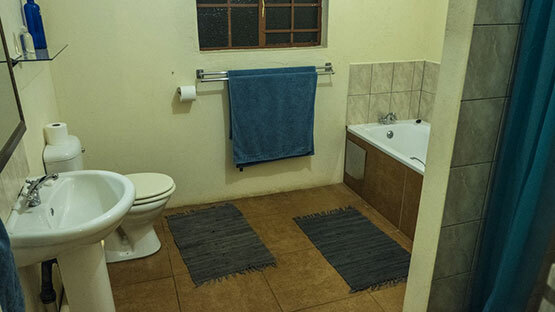 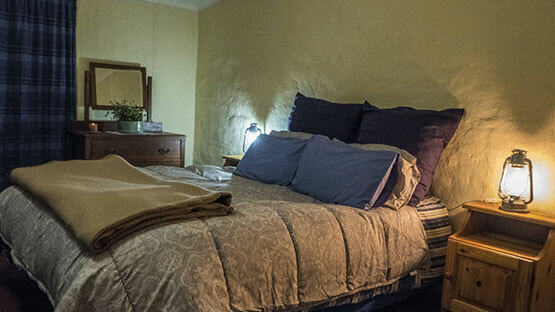 Each bedroom has a private entrance, en-suite bathrooms and a sleeper couch, so the lodge can sleep eight comfortably with an extra eight on sleeper couches if required. 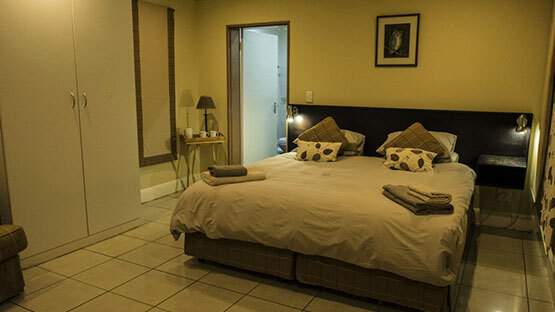 All the bedrooms are connected to the central living area by wooden decks. 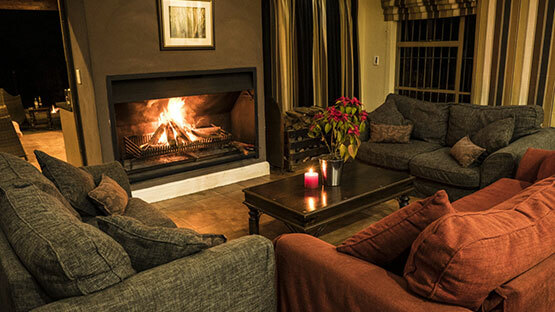 The central living area features a modern kitchen, a dining area and a lounge centred around a lovely fireplace. 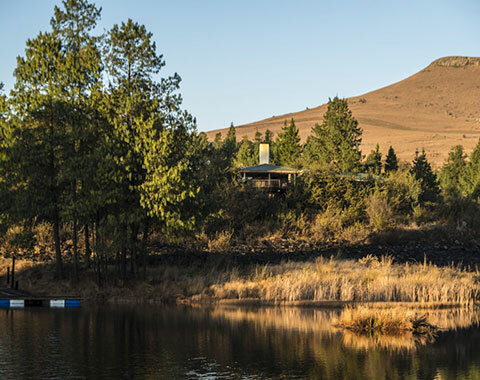 A magnificent view of the valley and dam can been appreciated from the deck. 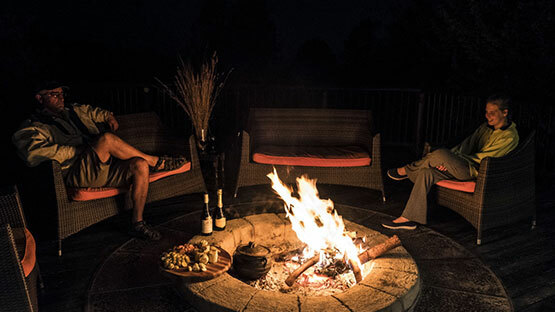 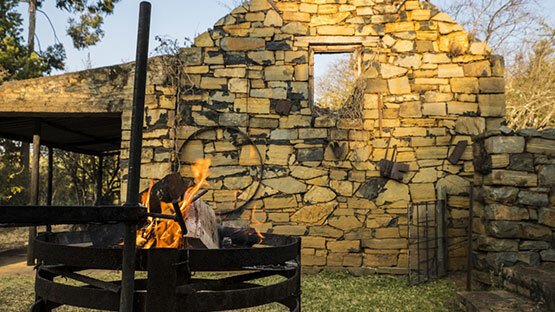 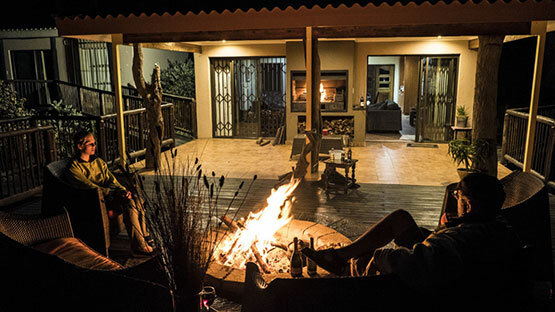 Enjoy a braai or spend an evening watching the moon rise while sitting round the fire pit on the deck. 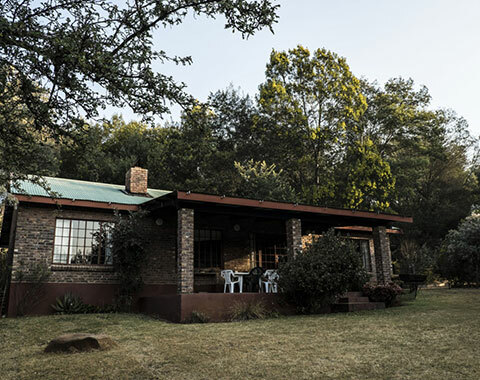 Searles Cottage offers magnificent views of the valley and the dam in front of it and is within easy walking distance of the other dams on the farm. 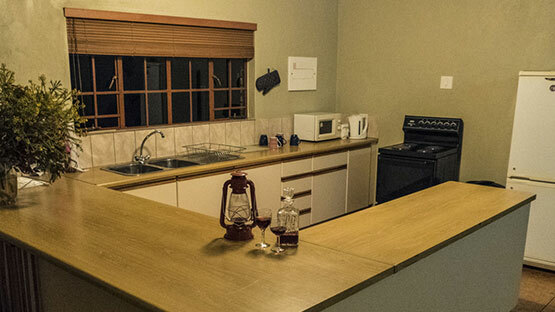 The cottage features tiled floors throughout and a fully fitted kitchen. 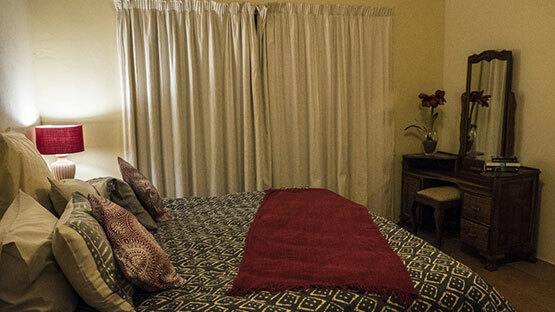 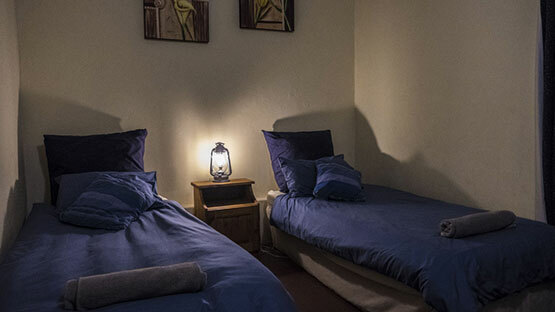 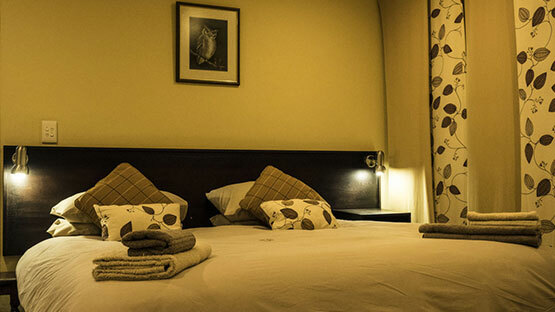 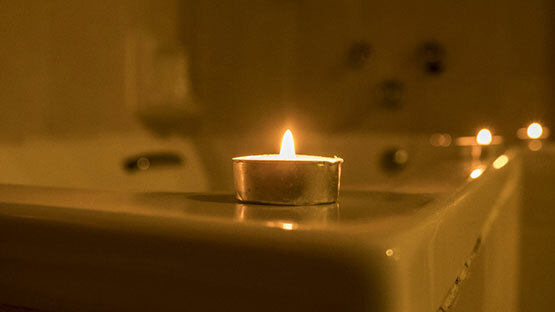 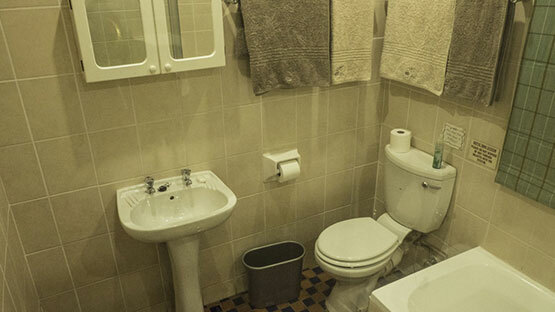 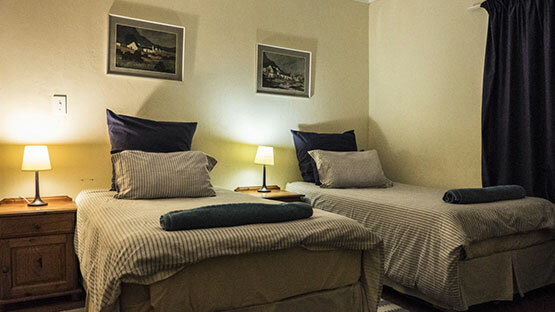 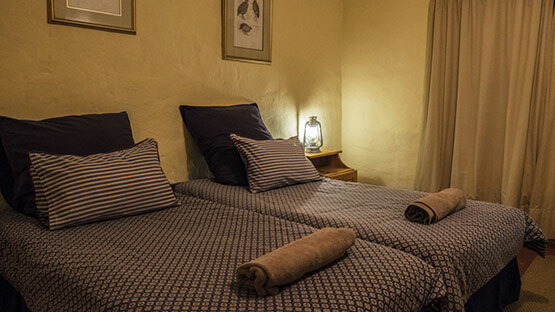 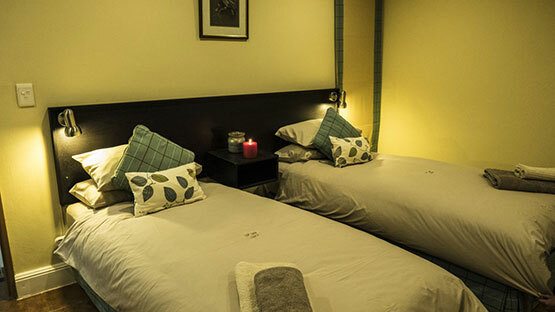 Accommodation is provided in three bedrooms, one en-suite with a king-size bed, the other two with twin beds. 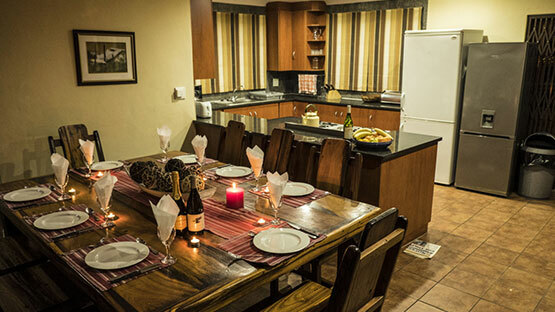 There are also two bathrooms and an open-plan lounge/dining room. 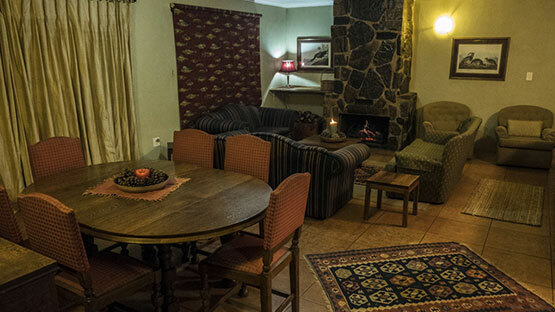 The focal point is the beautiful stone fireplace. 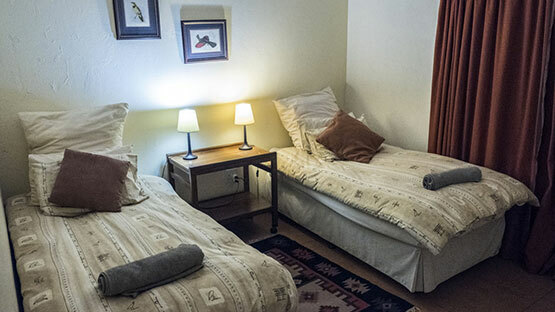 Searles also has a fenced-in garden area and pets are welcome.